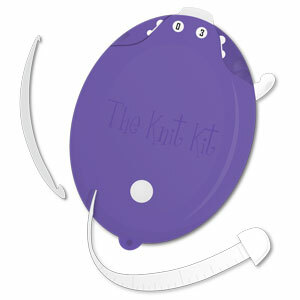 We hope you enjoy browsing our entire selection of The Knit Kit Accessories! Tired of searching in your knitting bag or purse for all the items you need for knitting? Then The Knit Kit is your perfect solution! This kit includes a 5ft tape measure, row counter, thread cutter, TSA Compliant Slip-N-Snip scissors, crochet hook, two types of stitch markers and point protectors all on one compact device. No need to continually buy various accessories when you can have it all in one. Great for traveling by car or plane. Never lose your knit knacks again!